Major League Baseball players are about to get a break after a long but fun first half of the season. After teams resume their regular schedule, we’ll focus on the storylines of the final stretch of the season; the playoff chase, MVP candidates, the Rookie of the Year debate, and more. We’ll even look at teams that are making trades to improve for the future. However, for now, we reflect on the first part of the season. These are the five most disappointing young players, ranked from least to most hurtful to their respective teams’ success. Okay, so the Chicago Cubs shortstop can’t be a huge disappointment if he’s the starting shortstop on the National League All-Star team. 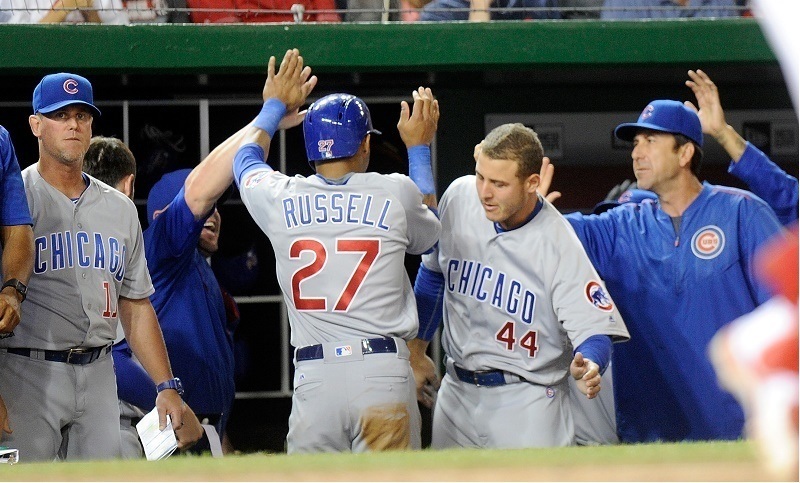 But by most measures, Addison Russell doesn’t truly deserve to be there. With at least three or four shortstops in the NL putting up more impressive hitting numbers, Russell’s case as an All-Star is entirely based on fans wanting to see him play in the game. Last season, Russell finished his rookie year with a .242/.307/.389 slash line, but that was in part due to a slow start. He cut down his strikeout rate and hit much better in the second half, showing off some power and slashing .257/.311/.442. Russell has special talent in his bat, and many expected the 22-year-old to break out in his second season. It really hasn’t happened, though, outside of improved power and walk rate. Through his first 81 games — exactly half a season — Russell is hitting just .235/.331/.406. 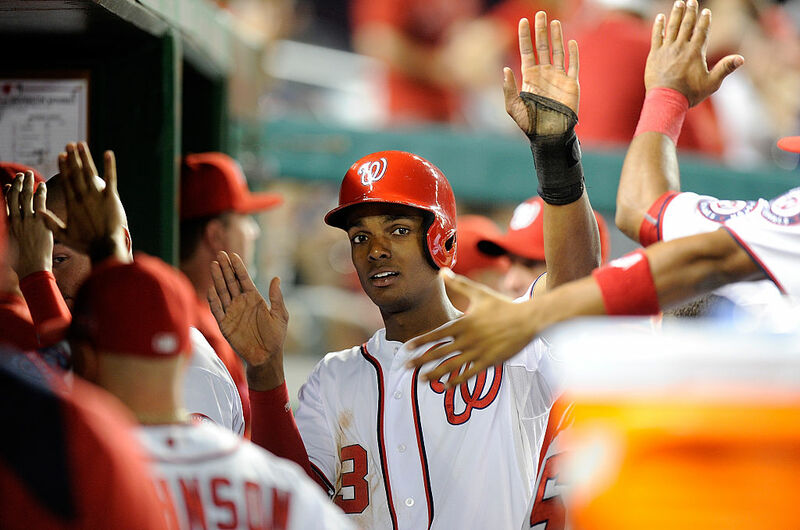 The Washington Nationals acquired outfielder Ben Revere from the Toronto Blue Jays in the offseason, and it made the immediate future for outfield prospect Michael Taylor somewhat confusing. He didn’t have anything to prove in the minors, but he hadn’t exactly lit up the league at the plate in 2015. But when Revere got hurt early in the season, Taylor was thrust into regular work — and he hasn’t fared well. In 60 games played and 203 plate appearances, Taylor is hitting .226/.266/.372 — pretty similar to what he did last season. He’s just 25 years old and comes with a prospect status that should keep the Nationals patient with him, but at this point it’s hard to know what the next step is. For Washington, the next move will likely be continuing to play him on a semi-regular basis in the major leagues and hope that regular work with the coaching staff will help work out his issues at the plate. On the plus side, he’s a good defensive outfielder and brings value with his glove even when he’s not hitting. Michael Conforto went into 2015 as the 80th-ranked prospect in all of baseball, according to Baseball Prospectus. He posted a .854 OPS with 12 home runs in 91 games in the minors, and was sent to the major leagues in the heat of a pennant race. Conforto did well with the Mets, hitting .270/.335/.506 in 56 games. Expectations were high for the kid they expected to be their left fielder. But Conforto has seen his production fall off in year two. He experienced a hot start in April, but is hitting just .148/.217/.303 in 157 plate appearances since the beginning of May. It culminated in the Mets sending Conforto down to Triple-A, where he’s hit well. 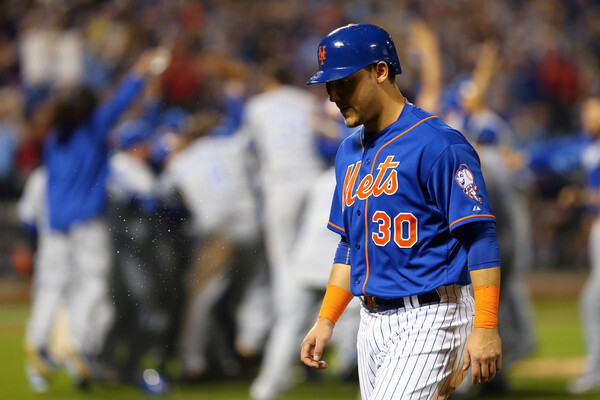 With the injury and lineup problems New York has experienced this season, there’s no doubt that Conforto will have his opportunity to figure things out and play in the big leagues again. 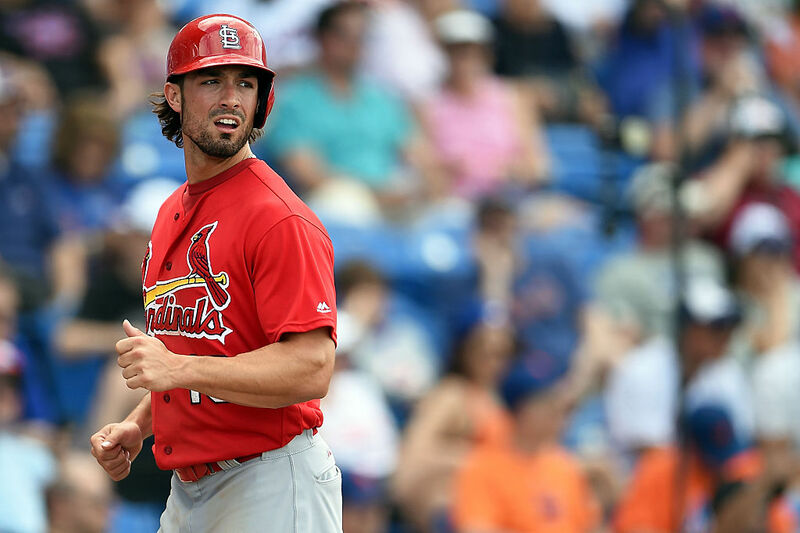 The St. Louis Cardinals celebrated an amazing rookie year from outfielder Randal Grichuk in 2015, as he put up power numbers they didn’t anticipate. In just 107 games played, Grichuk clubbed 17 home runs and 23 doubles — good for a .548 slugging percentage. With Jason Heyward no longer around, the Cards came into 2016 with Grichuk penciled into the lineup in center field. They’ve seen success as he’s improved on some of his issues at the plate — cutting his strikeouts down from 31% to 23% — but he’s seen his production drop off. Grichuk hit .222/.287/.417, which culminated in him eventually being sent down to Triple-A to work on a new batting stance. Since returning to the big leagues, he’s experienced some success in a small sample. But with his Cardinals just 45-42 on the season and badly needing the production at the plate, there’s no way to describe Grichuk’s performance this season as anything but disappointing. 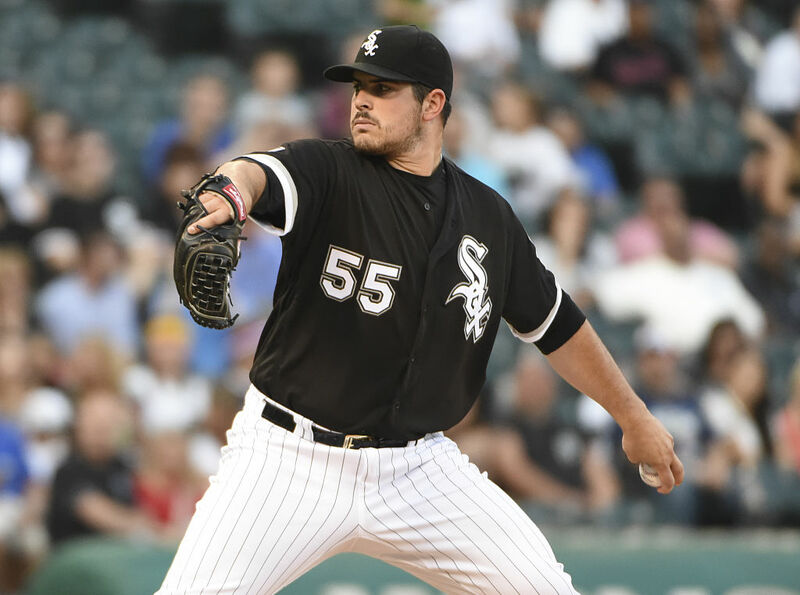 When the Chicago White Sox drafted Carlos Rodon in 2014, it seemed like they had the next stud left-handed pitcher. They already had two, in Chris Sale and Jose Quintana, so the future looked bright for the three-headed left-handed monster. After Rodon’s rookie year, when he had some relative success (starting 23 games and posting a 3.75 ERA in 139 1/3 innings), you can’t blame Sox fans for thinking big things were in store for 2016. So far, not so much. Rodon was just placed in the disabled list with a wrist injury and has a 4.50 ERA in 92 innings pitched. He’s got his walks under control for the most part, but just seems to get hit hard every time he’s out. (The pitcher is allowing 10.7 H/9 on the season and a 1.533 WHIP). Once Rodon returns from the disabled list, he’s almost assured to be back in the rotation for two reasons: He has a talented arm that the White Sox need to allow to develop, and Chicago has few other options in the rotation.